There is 1 review for 'Symphony of the Origin'. 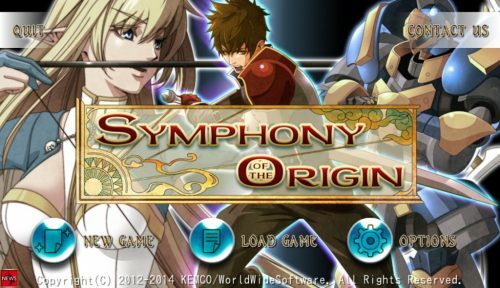 My Favorite Kemco Game EVER!!! Seriously, I don’t know why but I just LOVE this game. The story is good, although somewhat cheesy (and the dialogue often seems dis-connected), but the graphics, music, and menus are awesome, and the boss battles are really cool! It’s another short game (about 8-10 hours), but there’s a lot of bonus material if you’re willing to talk to EVERYONE in the game and do a little searching. There’s no real “surprises” in the story, but there are some points that are pretty emotional. Dialogue is sometimes just "strange"
Really Fun and Fantastic Boss Battles!